Miss Multiverse Australia is proud to announce their new partnership with the prestigious and exclusive brand, Sophia + Co.
Sophia + Co will be dressing the National Finalists of the contest and TV Show for all their challenges, segments and glamorous events. Miss Multiverse Australia’s Producer, Yolandi Franken, spent the first half of the year searching for the perfect fashion partner for the show and contest. She knew that the brand would need to be exclusive, high-end, stylish and appeal to the show’s audience. “It was like a light went on when I discovered Sophia + Co”, says Yolandi Franken. 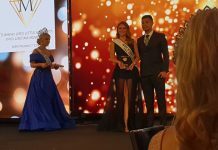 The Miss Multiverse Australia brand around the world is very prestigious and selective about who they align with. The models are classy, sophisticated, yet young and fun. Sophia + Co is just that, with each outfit part on a limited-edition range. Although this brand is affordable, it has all the qualities of some of the biggest brands on the market, making it a perfect for the audience of the show. The fact that this is an Australian brand is the cherry on top. Sophia + Co founder, Sophia Soulos, is a stylist and designer who dressed many of Australia’s big names. Her expertise will bring the styling of the models during the show to a whole new level. Their clothing range from casual, smart casual, cocktail dresses, evening dresses and even shoes. With the wide range of available options, Sophia will be able to style and dress the models for all their activities, including the evening dresses for the final awards night. In Season One of the TV Show, models had to bring their own outfits for the activities, based on a general packing list. Because activities are kept secret until the models arrive, it was sometimes tricky for the models to dress exactly what they need to wear for each challenge. And with too close of a brief, models might be able to guess the activity. This will no longer be a problem in Season two. With having Sophia + Co on board, life for the models will be much easier and the outfits will be more appropriate for each activity. Yolandi Franken is looking forward to working with Sophia + Co and bringing cutting edge fashion to audiences around Australia through the TV Show.